Western Germany: Expanded Media, 1998. 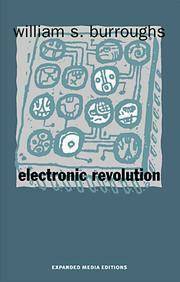 Second edition Paperback Near Fine in Wraps 16mo (4 x 5-3/4), 63 pp (English) 80 pp (German). Small paperbound book is Unmarked, apparently unread, and NEAR FINE with pale stain on vertical page block and minor shelf wear soiling and bumps on corners. Book is English on one side, reversed and German on other side. 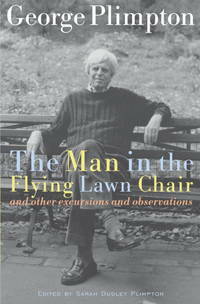 The Man in the Flying Lawn Chair And Other Excursions and Observations. By Plimpton, George; Edited by Sarah Dudley Plimpton. New York: Random House, 2004. First Edition, First Printing Hardcover FINE in AS NEW DJ 8vo (6-1/4 x 9-1/2), 184 pp. Hardbound book is Unmarked and FINE, in AS NEW pictorial DJ. (h) In an age of specialization, a slightly built man who could be Editor-in-Chief of The Paris Review, get in the ring and box Archie Moore and Sugar Ray Robinson, quarterback an NFL team for several plays in an exhibition game, train as an ice hockey goaliee, etc., stands pretty much alone. But there was a single rationale for all of it, that being that perhaps there's some wonderful talent inside each of us if only we had the opportunity to bring it out. This collection, edited by his widow, shows the adventurous nature of this man.